Christian tradition has upheld the high ethical teachings of Jesus concerning forgiveness. While the parable of the Unforgiving Servant is found only in Matthew’s Gospel, its message is stressed in the Lord’s Prayer, which became a vital expression of Christian faith. The prayer for Jesus’ disciples with its dynamic petition, “Forgive us our debts as we also have forgiven our debtors,” finds a prominent position in the Didache, which demonstrates that the early Christians emphasized the theme of forgiveness in the life of the church…Could the Lord’s prayer as recorded in the Didache have been influenced by the wording of this parable? I’m only a little more than half way through Young’s book but each chapter follows a similar pattern, taking a particular parable of Jesus (Yeshua) and running it past a specific analytical matrix. This isn’t unlike what Roy Blizzard has done in his book Mishnah and the Words of Jesus which I reviewed last spring. Blizzard compared various teachings of Jesus to those of the Rabbinic sages within a generation either side of the (earthly) lifetime of Jesus and determined that Jesus very much taught within the Rabbinic context of the late second Temple era. Young, chapter by chapter, takes a specific parable of Jesus, shows his readers the traditional Christian interpretation, and then re-examines the parable through the lens of Jesus’ Jewish contemporaries, as well as later Jewish writings. This method also reminded me of a teaching by First Fruits of Zion (FFOZ) founder and president Boaz Michael that he gave a few years back called “Moses in Matthew” which I had the opportunity to listen to (as an audio recording) and review nearly thirteen months ago. This method of understanding the words of the Master brings into question traditional Church exegetical concepts such as “the sufficiency of Scripture” and “let Scripture interpret Scripture,” both of which suggest that all you need to understand the Bible in general and Jesus in particular is you and a Bible translated into your native language (which for me is English). 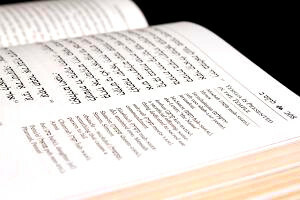 While most Evangelical Pastors will also say that a good concordance is helpful and it’s even better to understand the original languages along with something of the context in which the Biblical writers authored their works, they tend to neglect understanding the Judaism in which each Bible writer lived, worked, learned, and taught. Apprehending Scripture from within an ethnically, religiously, historically, linguistically, culturally, and experientially Jewish framework often yields different interpretative results than the traditions handed down by the Christian Church in its many denominational “flavors”. Although humor is difficult to define and understand because of cultural barriers, Jesus’ dry wit comes through in this story of one very fortunate servant. I quoted this short sentence to illustrate both the point of “cultural barriers” and how we could miss something so elementary as humor. When we read the Bible, we tend to believe that it is always written in the utmost seriousness and, in many conservative Fundamentalist churches, the literal meaning of the text is always given tremendous weight. But what if the writer is saying something ironic, using Hebrew and Aramaic wordplay, rabbinic idiom? What if the writer is telling a joke? If we don’t access resources to support our understanding of how Jesus most likely was teaching and how his immediate audience (those listening to him) and extended audience (the originally intended readers of the Gospels and Epistles) were expected to understand what he said, we are left with what we think it all means from a 21st century Christian American point of view. Please keep in mind that point of view almost never takes ancient Judaism into account let alone immerses itself in said-Judaism as a pool of interpretive wisdom. In other words, we’re probably making a lot of wrong assumptions and coming to many erroneous conclusions. In the cultural context, the sacred calendar of the Jewish people may provide the setting in life for this parable. The ten-day period between the Jewish New Year and the day of Atonement was designed for seeking forgiveness between individuals. A person was not prepared to seek divine mercy during the great fast on the day of Atonement if he or she had not first sought reconciliation with his or her neighbor. The day of Atonement was the experience of the community as every person participated in the fast. The preparation for this collective experience, however, focused on the necessity to forgive one another on a personal level so as to approach God without a bitter heart. Mercy from above depended upon showing mercy to those below (Compare to Matthew 5:23-24). For transgressions that are between a person and God, the Day of Atonement effects atonement, but for the transgressions that are between a person and his or her neighbor, the Day of Atonement effects atonement only if one first has appeased one’s neighbor. We see the scene of the parable being unpackaged right before our eyes in the pages of Young’s chapter to illustrate what we should plainly see Jesus teaching: that the forgiveness of God and atonement for sins is dependent on our forgiveness of others who have sinned against us. If we believe we have been forgiven by God and our sins washed away, and yet fail to forgive those who have sinned against us, will the God of Heaven truly forgive? If we have sinned against another and asked God alone for favor rather than first seeking out the forgiveness of the one we have offended, will God forgive in the stead of the person against whom we have sinned? Of course, if we have sought forgiveness and been spurned, we can only be held responsible for our own part. We cannot make another person forgive us if it is not in their heart to do so. The lack of forgiveness in response to our sincere desire to repent to one against whom we have sinned is on the other’s head as long as we’ve done all we can to make amends and repay them for the wrong we have done. There’s another implication in Young’s interpretation of Jesus’ parable based on his invoking the time period between Rosh Hashanah and Yom Kippur. Particularly in Orthodox Judaism, it is believed that a Jew is written into the Book of Life year by year. It is an opportunity to have God hit a sort of “cosmic reset button” for the year to come, but it requires great effort on the part of the individual to make amends for sins committed, both against man and God, to perform good deeds, and give to charity. This is quite foreign to a Christian’s point of view, particularly if you believe “once saved, always saved.” The moment you confessed Christ as Lord and believed in him, you were saved from your sins and guaranteed a place in Heaven when you die. You need to nothing else, and in fact, it’s impossible for you to do anything else. That’s the truncated version of the traditional Christian understanding of the Gospel message, anyway. It is said that there are two resurrections. The first is called the “resurrection of the righteous” and only those who “died in Christ” will be resurrected at the second coming of Jesus. They/we will all be raised into the air to meet him, and according to traditional Evangelical doctrine, the Church will then be raptured into Heaven to wait out the full fury of the Tribulation on Earth. Then, when all the bad stuff is over, Jesus leads the Church back down to Earth to establish his Kingdom where the Church will rule with him over a New Earth. Or so it goes as far as many Christian churches are concerned. The second resurrection is called the “great white throne” judgment where everyone who has died is resurrected and judged by God, with the righteous living in bliss for all eternity, and the wicked being cast into the lake of fire to suffer torment for all eternity. But how does that judgment work? If we just believe in Jesus will we be saved automatically? Will we be given a free pass into Heaven? What about being forgiven by God as we’ve forgiven others? What if the final judgment is like the ultimate Yom Kippur service? Have you ever been to a Yom Kippur service? It’s the single most solemn day on the Jewish religious calendar, full of tears, fasting, remorse, repentance, trembling, and fear. The unmerciful servant does not forgive like his master. The lord of the servants, however, is not only merciful but just. The one who would not forgive will not receive a reprieve. His fellow servants recognize the injustice and report the actions of their unmerciful coworker to the lord. He is enraged. Belief in Jesus is hardly sufficient by this Biblical standard. What you think and feel is only part of the equation. What you do out of your faith is what really matters. Yeshua answered and said to them, “Let the faith of God be in you. For amen, I say to you, anyone who says to this mountain, ‘Be lifted up and moved into the middle of the sea,’ and does not doubt in his heart, but rather believes that what he says will be done, so it will be for him as he has said. Therefore I say to you, all that you ask in your prayer, believe that you have received it, and it will be so for you. And when you stand to pray, pardon everyone for what is in your heart against them, so that your Father who is in heaven will also forgive your transgressions. But as for you, if you do not pardon, neither will your Father who is in heaven forgive your transgression. If this is so as we are judged by God day-by-day, how much more so is it true when we come before the Throne of God at final judgment and the great day of atonement? Yet, for all its importance, the ritual of the synagogue is but a means to an end. In Judaism, behavior takes priority over belief. Faith without deeds will not change the world. It is doubtful that Schorsch meant to parallel the teachings of James the Just, brother of the Master, but this may reflect the fact that principles from ancient Judaism (for the teachings of Jesus and James are wholly Jewish), some at least, have survived the passage of time and endure in modern Jewish practice. As Christians, for anything we find good and gracious in our theology and doctrine, we must give thanks not only to God but to Judaism for its origins. However, if we accept that, we must also accept that a Jewish understanding of the teachings of Jesus place a much greater burden on the shoulders of a Christian than many Pastors have led us to believe. Fortunately, I currently attend a church where this burden is taught and where sincerity of repentance and love and forgiveness of our neighbor and brother is held in great value. He remembered His covenant for them and relented in accordance with His abundant kindness. …but if that nation repents of its evil deed of which I had spoken, then I relent of the evil [decree] that I had planned to carry out against it. Or, one moment I may speak of concerning a nation or kingdom, to build and establish [it], but if they do what is wrong in My eyes, not heeding My voice, then I relent of the goodness that I had said to bestow upon it. God is eager to do good to all those who call upon His Name in sincere repentance and who do what is right, but to those who call upon Him yet continue to do what is wrong, there is no mercy, but instead, righteous judgment. As Christians, we cannot afford to take our (so-called) salvation for granted, for who is to say that God won’t keep His word as He has given it and as Jesus has taught it? Who is to say that our forgiveness (or lack thereof) of others won’t be the model by which God will (or won’t) forgive us? The parable shows the deep roots of Jesus’ teachings in ancient Judaism. Jesus’ Jewish theology of God saturates the drama of the story as the action moves from scene to scene. The listener is caught up into the plot of the mini-play and participates in the trial, triumph, and tribulation of the servant. What happens when it is impossible to pay one’s creditor? …The cultural and religious background is based on the teachings concerning the great day of fasting in Israel’s sacred calendar, which each person seeks forgiveness from God. The creation of humanity, in the very image of God, demands full accountability, which means that one must be merciful in the same way that God shows mercy. The images created by the parable lead the listener to join the actors on the stage. Each individual must ask God for forgiveness of a colossal debt. To what extent, however, do I extend mercy to others who have wronged me? Jesus makes this a major theme in the prayer he taught his disciples: “Forgive us our debts, as we also have forgiven our debtors.” On the day of Atonement, the Mishnah instructs the people to make things right one with the other before seeking forgiveness from God (m. Yoma 8:9). Thus the idea of human forgiveness is strong in Jewish theology. These parables are not cute little sayings of Jesus to teach us some interesting moral lesson. They are cautionary tales, warnings to the disciples, including us, that what we do and why we do it really does matter, and, looking back to the words of the prophet Jeremiah, what we have been given can be taken away at any time should we prove to be faithless and insincere, both to God and to our fellow human beings (also see Matthew 25:14-30). While I suppose it’s not absolutely necessary to study the Bible from a culturally and religiously Jewish perspective and still live a good and upright Christian life, we see here, as I’ve pointed out many times before, that without a little extra “help” through an understanding in the wider body of Jewish religious literature, we can often miss the point, giving more power to Christian traditional interpretations than in what Jesus said in context. The Church has been taught to avoid that context because it has been taught that (if not the Jewish people) Judaism has been sitting on the shelf long past its expiration date. The Law is dead. The Jewish people just don’t know it yet. Except that’s not the case and can’t be. Without a Jewish understanding of the teachings of Jesus filtered through an ancient and arguably modern practice of Judaism, the words of Jesus are just words on a page, devoid of some or much of their actual meaning. And without that meaning, the depth of our faith and how we actually live it out, including forgiveness, is just as absent of meaning. It may be good and even sufficient, but it could be so much more. To what then may we compare (entry into) the Kingdom of Heaven? I hereby forgive anyone who has angered or provoked me or sinned against me, physically or financially or by failing to give me due respect, or in any other matter relating to me, involuntarily or willingly, inadvertently or deliberately, whether in word or deed: let no one incur punishment because of me. *Apprehending Scripture from within an ethnically, religiously, historically, linguistically, culturally, and experientially Jewish framework often yields different interpretative results than the traditions handed down by the Christian Church in its many denominational “flavors”. Over the years, I have heard much about the need for an “authentic,” Messianic Judaism. My conclusion is that the only authentic Messianic Judaism will have to arise out of the Jewish community as it did in the first century rather than brought in from without bundled with foreign baggage. I remember the meme, “A Movement for Messiah within Judaism,” which was more like a movement for Judaica within Christianity. I believe this was a valuable accomplishment, even if it wasn’t the goal they set out to fulfill, and I believe this too was of heaven. I think authentic Messianic Judaism is rising out of the Jewish community or rather, Jews are joining together to form Messianic Jewish communities, and in many cases, inviting interested Gentiles to join them. @James, I read that the word, “religion,” means, “to tie or bind,” as common beliefs, practices and values bind people together. We are told that the church is a family, but its links are far more tenuous. 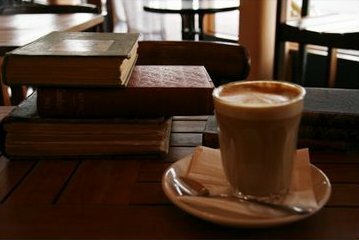 My family members are quite varied in all these things, but blood and history hold us together. In religion, if you don’t completely buy in, you are no longer a member of the family at worst, and at best, a tolerated black sheep. I really don’t have the right to go into a friend’s home and rearrange the furniture, or even suggest that their furniture be rearranged unless they bring up the topic of discussion. But, they’ve told me it is my home and I am a member of the family. Maybe they would like this to be so, but it isn’t. I think we all need not only the acceptance and support that the group provides, but to feel our contributions as a part of the body are welcomed, encouraged and useful, rather than resented, resisted and targeted for rehabilitation. I’m not sure where you’re going with this, Chaya. The emphasis of today’s blog post is to suggest that we need to have a much greater understanding of the holistic context within which the scriptures were written. I’m using Brad Young’s book on parables to illustrate this point. @James, I may have made a mistake and replied to the wrong post when I clicked on my email. My first experience in Messianic Judaism was in 1974-75. It never arose out of the Jewish community. (Usually) 1. Gentiles led Jews to faith in Messiah, according to evangelical theology. The either went into a church, a halfway house type function that was geared to feed them into a church or a permanent Jewish themed of some variety fellowship. Or, 1B Jewish or non-Jewish missionaries allied/paid by church ministries created a work aimed at Jews that usually ended up attracting more non-Jews than Jews. The first group I was part of, Beth Messiah, Rockville, began when a group of Jewish believers in churches decided to have a Friday night Shabbat Service. Perhaps they didn’t see that anything more would come of it. The second group I was part of, Roeh Israel, Denver, was supported by American Board of Missions to the Jews, now with a more acceptable name, Chosen People Ministries. This paradigm allowed/encouraged Jews to keep Jewish traditions as long as they accepted Southern Baptist theology. The only instance I know of in this vein is Rabbi Lichtenstein, who remained as rabbi of his congregation and remained Orthodox in practice, although he incorporated faith in Yeshua framed within evangelical theology. I haven’t heard that gentiles joined his congregation, and don’t know anything about what happened to his descendants or those of his congregation. Many years ago Sid Roth made the comment that traditional synagogues would become Messianic ones. However, I suspect back then they thought this meant traditional synagogues would become like a typical MJ congregation. What I believe and hope, is that an understanding of Yeshua and the first century writings arise within a Jewish contextual understanding, and separated from any church doctrine or practice and influence. This is where a pre-trib rapture would come in handy 🙂 A set-up like this could welcome gentiles without being overcome because only a real “Ruth,” highly dedicated, willing to persevere and adopt foreign practices would be attracted, and the church hopping, blessing seeking religious crowd would go somewhere else. I think the pioneers thought their role vis a vie gentiles was to add meaning and depth to the lives of those in the church, and underestimated the discontent of church members, as well as the attraction of Jewish stuff. Regrettably, Chaya, far too few have possessed the Jewish knowledge and perspective of a Rabbi Lichtenstein. But I would like to offer an alternative view of modern MJ origins. Unlike the first century, when Judaism was a dominant culture in the region where Rav Yeshua taught and the original MJ movement arose, the dominant culture where modern MJ arose was Christian and not particularly knowledgeable about or even tolerant of assertive Jews. Nonetheless, it is not inaccurate to describe the disaffected young Jews who were seeking for religious genuineness in churches and independent fellowships, who became disenchanted also with the watered-down environment there, and who sought to explore some form of Jewish expression — even if it were merely a reformulated Erev-Shabbat service — as a form of Jewish community from which arose the modern MJ paradigm of seeking to rediscover Judaism as the Messiah expressed it. There were some few whose hopes were akin to the Rabbi Lichtenstein model, though they were outnumbered by those who wished merely to reformulate a version of Christianity. Again regrettably, the strongest tendency was for funding to be channeled into “missions”, so the Christian expressions prospered more than the truly Jewish ones could do; and those who attempted to exploit the funding that was available were hampered by the attached strings, even if their hopes were oriented toward the Jewish model. Nonetheless, if there is anything to be learned from this experience, let us apply it now in emphasizing Jewish praxis a-la Rabbi Lichtenstein rather than merely bemoaning the errors and hindrances of the past. Very optimistic, James, but doesn’t reflect the reality. Most (halachic) born-Jews involved in Messianic Judaism have come from Evangelical churches, with little Judaism background to speak of (beyond bar/bat mitzvah). What’s more, as is frequently lamented by MJ leaders themselves, there are fewer and fewer MJs today and this means that the Messianic Judaism is certainly not “rising” (unless you count Hebrew Roots chuches and Gentiles who join them as “Messianic Judaism”). The Jews in MJ congregations tend to be mostly older, in their 50’s and 60’s, i.e. those who became Christians through the 70’s Jesus Movement. When I went to UMJC conferences, I came across VERY few MJs my age (in their thirties) or younger. What I also found disheartening is that those who said they were MJ’s and who were my age tended to be not Jewish halachically (a Jewish grandmother on father’s side, etc, or even more remote claimed ancestry). Gene, I’m watching the very beginnings, just hints really, of the Messianic Age peeking into the world. In the end, there probably won’t be anything like Christianity when Messiah is on the Throne of David. Gentiles will recognize themselves as being attached to Israel and faith in Hashem and honor Israel’s King. I think everyone understands your position, Gene. We’re drifting away from my original intent in writing this “meditation”. Since everyone’s laid their cards on the table, let’s just let ’em lie. I don’t want to have this turn into another one of those endless debates that never solve anything in the blogosphere. Thanks. I don’t believe the Messianic kingdom will look like Christianity, but I also don’t believe it will look like Judaism as practiced today, whatever brand. We may have some surprises in store. In any case, my own (Jewish) fathers, those on the left and those on the right, also inherited lies. Lies on the left that money, success and esteem were the answer and lies on the right, that heartless adherence to rules and ritual with an arrogant and isolationist attitude was a path above the rabble within and without. The last verse of Malachi tells us that he would turn the hearts of the fathers to the children (note this is first) and the hearts of the children to the father, lest I come and smite the earth with a curse. I believe what MJ fulfilled, albeit unplanned, was acting as point men as they turned their (Jewish) hearts with compassion to the children (Christianity) encouraging a positive perception of Jews and Judaica. The hearts of the children then responded with desiring to explore and return in heart. The loving father does not place conditions on the restoration of the relationship, and is willing to act the part of the more mature, more loving, more understanding partner. I am seeing this happen now, even in the secular world. I don’t think anyone knows *exactly* how the Messianic Kingdom or the ekklesia of Messiah will look, but I suspect it will look more Jewish than Christian. Exactly what “Jewish” will look like will be up to how Messiah establishes his Kingdom. I suspect we will all have much to learn. Shalom, Chaya — Regarding your citation of lies inherited by your Jewish fathers… on the “left”, they certainly didn’t inherit any notion that money, success, and esteem were “the answers” derived from Jewish tradition (though, hey, could these be such a bad thing? 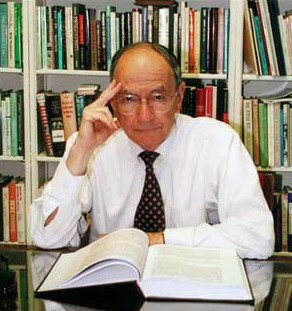 )… and on the right, heartlessness is also not an inherited Jewish value, though a certain kind of isolationism is a natural consequence of being called to be a distinct people apart from all the other nations of the earth (not to neglect the isolation enforced by the negative behavior of such goyim against Jews). 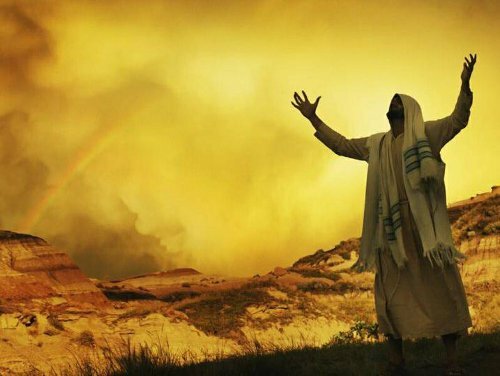 I would certainly hope that in the messianic kingdom we will experience blessings such as an abundance of money, success, and esteem, along with other riches and wholehearted adherence to the rules and rituals provided to Jews by HaShem via His Torah covenant and administered throughout history by dedicated leaders of His chosen people. I suppose we might dispense with isolationism in favor of more appropriate forms of distinctiveness. But most of all I would like to offer what I suggest is a better rendition and interpretation for your citation of the Eliyahu mandate stated in Malachi 3:24, in which “he shall return the heart of the fathers to the children, and the heart of the children to their fathers; lest I [HaShem] come and smite the land with utter destruction”. What does it mean to return to children the “heart” of their fathers? I suggest it is a compliment to the wholeheartedly heartfelt covenantal response of the Jewish people at Mount Sinai when they agreed to obey and to diligently learn all the implications of HaShem’s Torah instructions (i.e., before their natural human failings could begin to interfere with that resolve). It is this kind of zealous motivation that Eliyahu is expected to engender in the hearts of these later descendants, as they are returned to or restored to the “hearty” devotion of these their ancestors, as their own hearts turn toward them and the entire panoply of Jewish ancestors and their traditions of learning and Jewish civilization across many generations. Perhaps this rendition of the mandate may become clearer if presented in the context of the two preceding verses 22 and 23 in Malachi 3: “Remember the Torah instruction of Moses My servant, which I commanded him in Horeb for all Israel, (comprising) statutes and ordinances. Behold, I will send you Elijah the prophet before the coming of the great and awesome day of HaShem.”. BTW, that last phrase from the original text also may be rendered “before the impending time [appointed by] the great and awesome HaShem”, though the choice of these adjectives, even if applied merely to describe HaShem in this context, also imply something about the awesome characteristics of the envisioned time period. 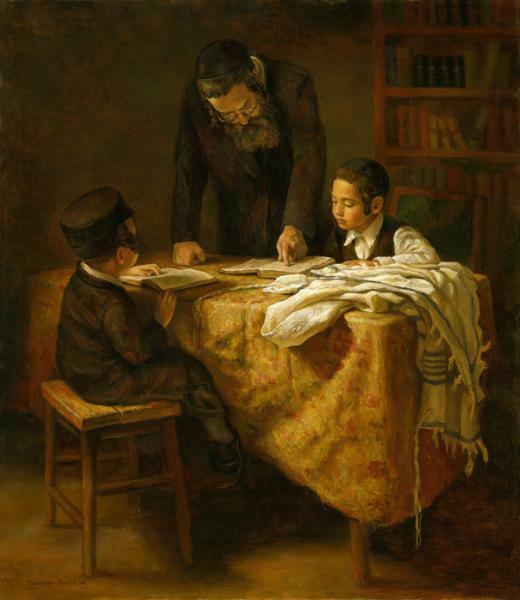 Now, regrettably, this rendition doesn’t allow a consideration of Christian gentiles as “children” of the Torah covenant in whom may be restored an ancient devotion exemplified in their forefathers. However, it does not deny them the opportunity to exercise a bit of faith and hutzpah and even tongue-in-cheek humor, as did a Canaanite woman as reported in Mt.15:27, to obtain even more than merely scraps from the children’s portion.